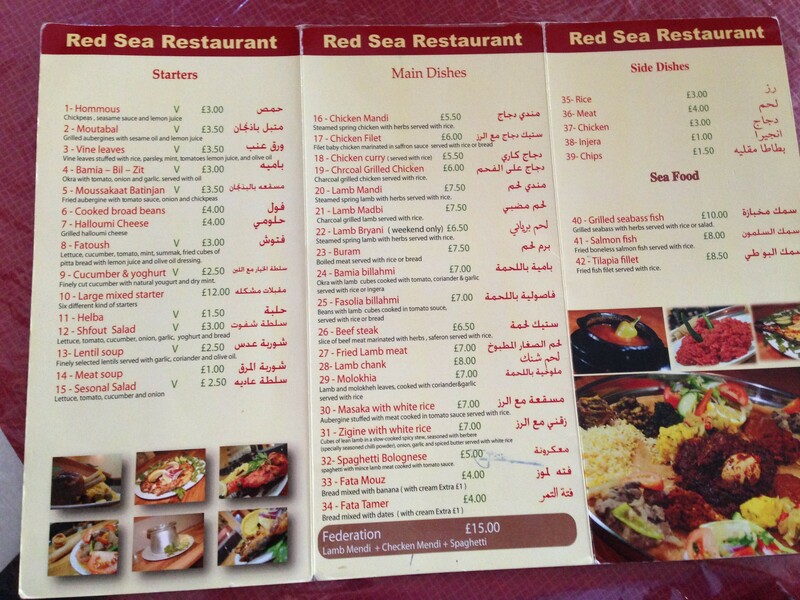 Red Sea Restaurant | Restaurants of the World Unite! 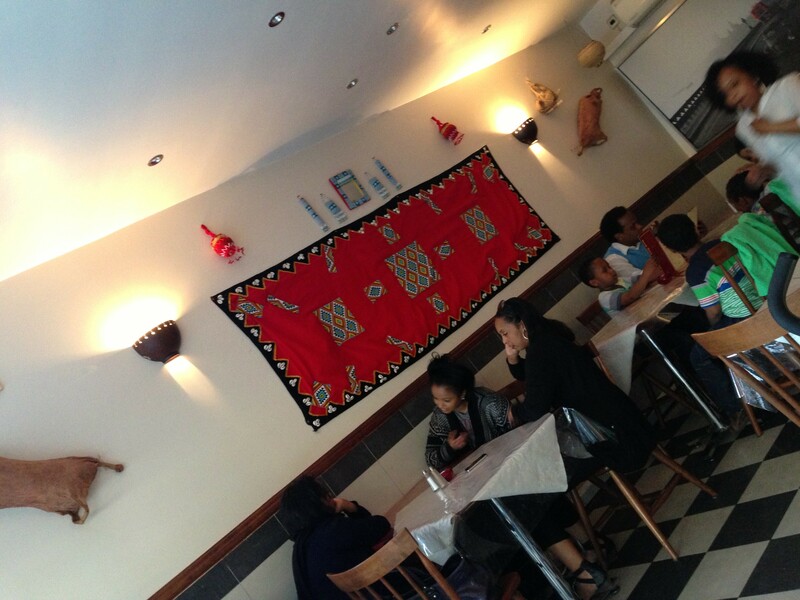 Red Sea Restaurant (on the Uxbridge Road) offers cuisine from Ethiopia, Eritrea, Somalia and Yemen. So I could, if inclined, tick off 4 countries in one go. But that doesn’t seem to be in the spirit of the endeavour of the undertaking of the task that I’m tackling. 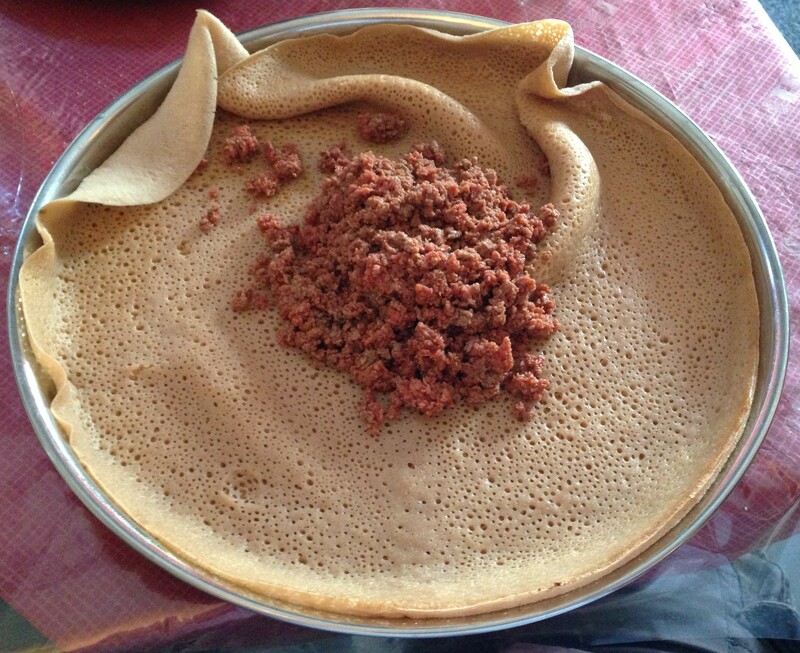 So I ordered Ethiopian and if I can’t find a Yemeni restaurant later on I might come back here. 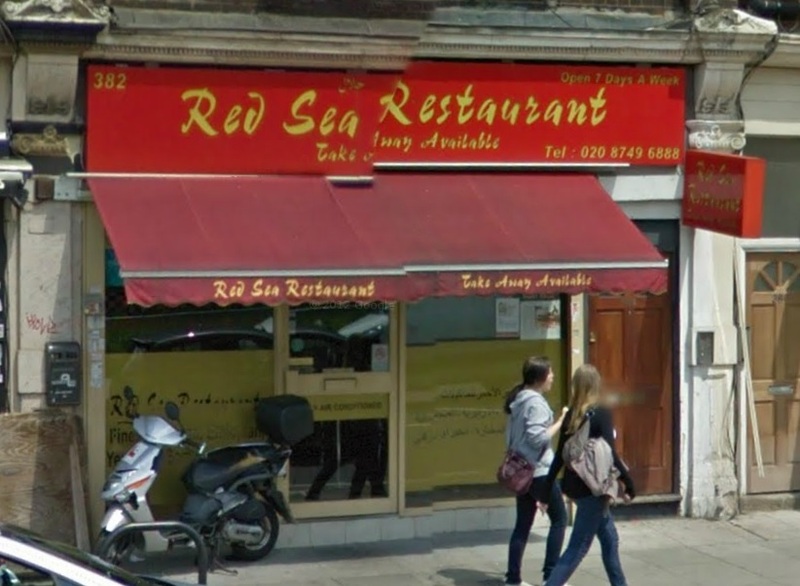 You could easily miss Red Sea, it looks like any number of anonymous greasy-spoons from the outside, but inside is a basically decorated restaurant, nicely busy with what I assume to be Ethiopian, Eritrean, Somalian and/or Yemeni people. OR, they were all part Ethiopian, part Eritrean, part Somalian and part Yemeni, in which case this is the perfect restaurant for them. That’s quite a hybrid demographic. 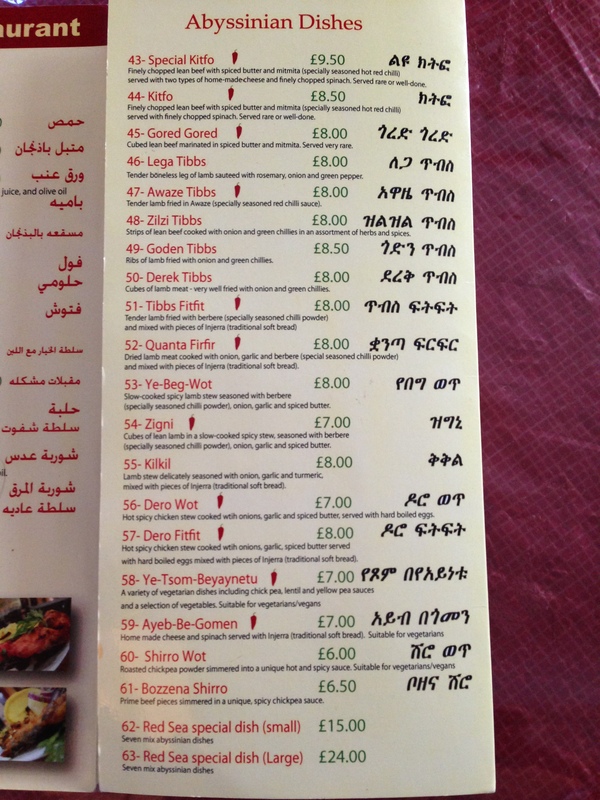 The menu doesn’t alert you to the provenance of each dish, (especially the side order of “Meat”) apart from a list on the back which details Abyssinian Dishes. So that’s five countries now. The only other Ethiopian restaurant I’ve been to is Kokob in Brussels (http://kokob.be/‎) which is excellent, but now restaurants with only one cuisine seem a bit passé now. A bit sweeter than at Abu Zaad, but sorry Coca Cola, your time is up. 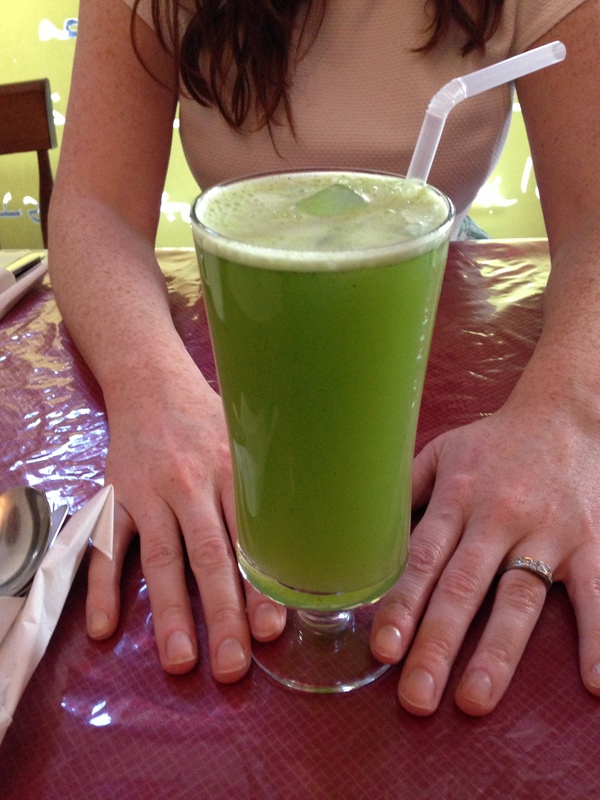 Also, check out the bling on Spouse’s south paw. I have a new phone now and I think the camera is a lot better. Not awful photography from here on guys! 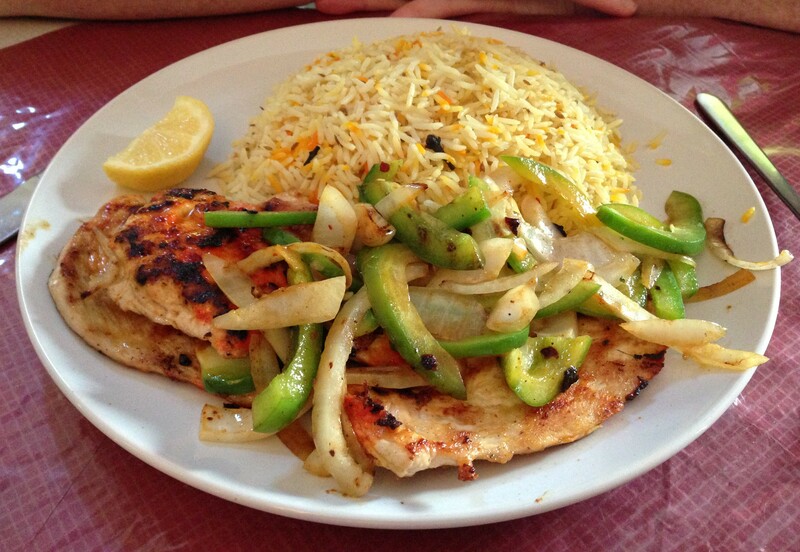 Anywhere with a side-order of meat is terrific in my book. Ethiopian script is apparently Amharic. So basically reading that menu makes you sound like you’re in a Mel Gibson film, duffing up Jesus. A rug on the wall? How soi-disant! The Red Sea from without. The image was nicked from Google Streetview and as you can see it has been parted down the middle. The Red Sea has been parted. That can’t be an accident.